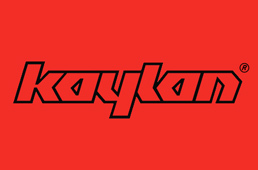 Kay-Dee Engineering is a leading supplier of plastic parts and polyurethane products to companies both large and small throughout the world. A highly experienced plastic manufacturer, we offer everything from industrial plastic to coloured plastic sheets, including plastic blocks and plastic mouldings. But we’re about more than just performance plastic and plastic fabrication. We’re equally at home manufacturing industrial rubber and rubber sheet for a diverse range of industries. Whether the requirement is for rubber mouldings or heavy-duty rubber we can be relied upon to precision manufacture the exact product that offers the correct hardness and level of resilience. Add to this both urethane and polyurethane sheet, elastomers, and polyurethane coating and it’s no surprise that Kaylan is fast becoming the popular alternative material in a wide range of manufacturing applications. And unlike many conventional elastomers, Kaylan loses none of its elasticity and won’t crack under impact at higher hardnesses.